Whoop, whoop! I can’t believe it – dress #5 of my 27 Dresses Challenge is finished already, but it took longer than expected. 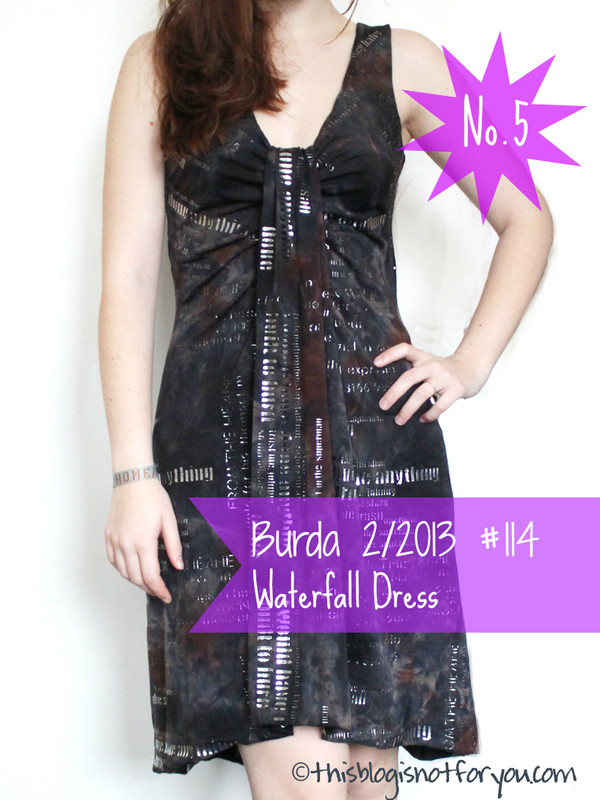 I used the #144 Burdastyle pattern of the February 2013 issue (it’s the one on the cover). I changed the pattern a little (of course!) to make it look more fun. The original was a bit too long for my taste and the awesome fabric I found needed something more edgy. 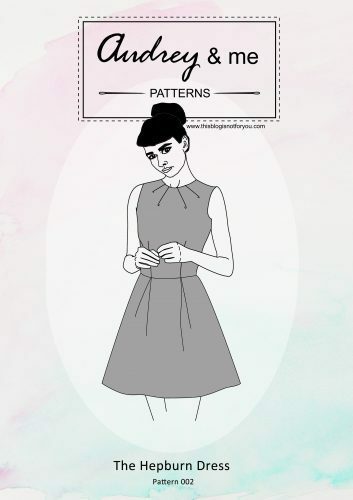 I shortened the hemline and cut the pattern to an asymmetrical hemline (I’ll explain how to do that in an extra post!). When I saw the fabric it was love at first sight. I got it in my (newly) favourite fabric store near Walthamstow Central (London). 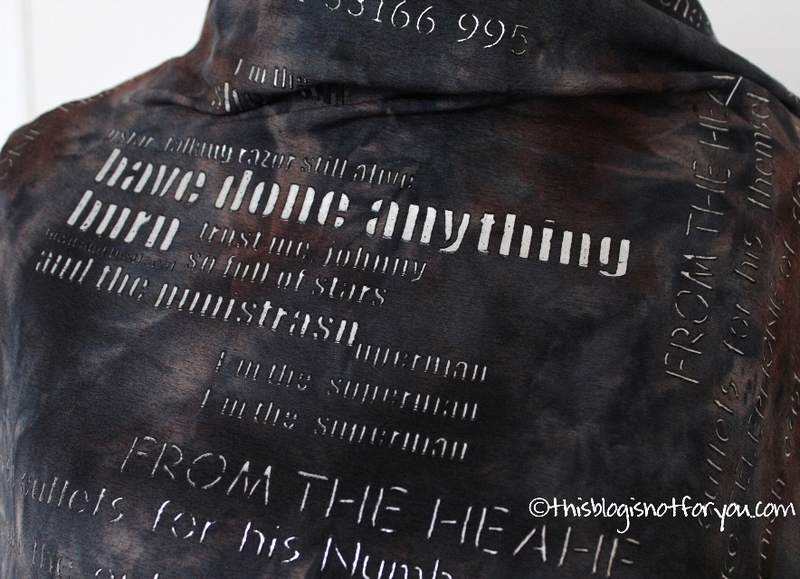 The print is crazy! Basically, it’s full of fun phrases that just don’t make any sense (the part I like most 😉 ). “Trust me Johnny I’m the superman” is definitely one of my favorites. It was my first time sewing with very elastic jersey. The elastic part was not that bad at all. My sewing machine has a pretty good variety of stretch stiches and I didn’t have any problems with handling the stretch. What was bugging me all day was the rubberised print. Not the print itself (which is awe-some! ), but the rubber part of the letters. My machine’s feed dog and presser foot couldn’t really handle the rubbery parts of the fabric. The fabric would permanently get caught and I had to start all over again. Some of the seams (ride sides together) were fine, but everytime I had to sew right sides facing up it almost drove me crazy. In the end I had to handstitch the hem. I wish it would look better, but there was no way I could have done it with the machine. Lots of aggression had to be repressed to keep me from burning that fabric. Seriously. I could have been done maaany hours earlier. However, in the end it was worth the trouble. The dress fits snugly and beautifully and I can’t wait for the sun to come out. Oh my goodness this dress is totally gasp worthy! Literally — when the page loaded “GASP!! Omygod I LOVE this! !” is what came out of my mouth. It looks fantastic on you, and the fabric is definitely worth the frustration. This series is totally up my alley, and I’m so glad that I discovered your blog at the beginning! Aww, thanks so much Cari! I love your blog! Fabric – check, coffee – check, love – check. Following you on Bloglovin’ now! I LOVE IT! This turned out so cute, and it fits you perfectly! Great job! 🙂 Yeah, I’m glad it was worth all the trouble! Beautiful, especially your choice of fabric! and I love the boots, Great ensemble! This dress looks great, and especially on you. Very nice work! Too bad about the struggle with the fabric. Sometimes I line the underside of my presser foot with tape to make a smoother edge. I don’t know if this would work with stretchy jersey, but I’ve also placed tissue paper over the fabric before stitching, so that the foot is touching the paper and not the grippy fabric. Then you just tear the paper away. Or, if your machine came with a teflon-foot, use that. 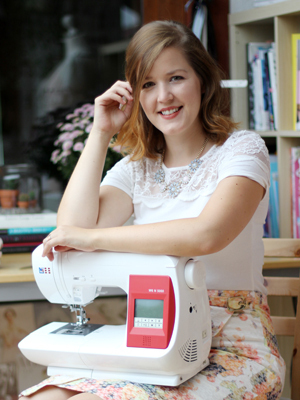 It’s great for sewing leather and other “difficult” fabrics. Ok, I think I love this dress. That fabric and style are great! I hope you’ll stop by and link up to Make It Wear It Thursday at The Train To crazy! Hey – great work! I saw you over on Live.Laugh.Rowe. I love what you did to the pattern. And I agree the print is great. Thanks Marni! I’ll do a very short How To on the pattern changes I made, soon!Btw, your blog is lovely! Following you on Bloglovin’! Wow, it looks great. I came over from make it wear it. 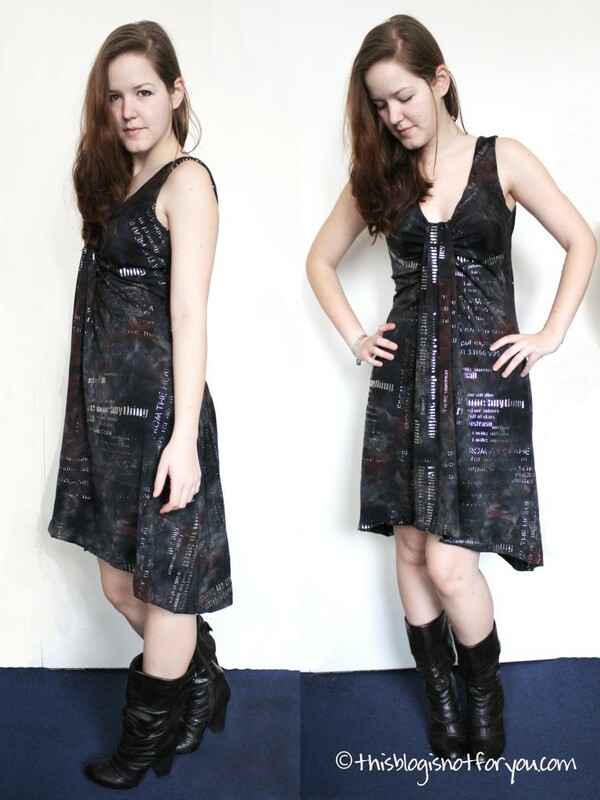 The silver shimmer just makes the dress. When I read about the rubber letters, I too thought of painters tape or a Teflon foot. I just can’t get over the print, it’s so fun. I love it and you absolutely rocked it! THANK YOU for linkin up to my Sunday FUNday party! Hope to see you tonight!! Any tricks for stabilizing the drape? I recently made a version and the drape wants to flip out. It’s driving me nuts! Hi Catherine! What exactly do you mean by flipping out? 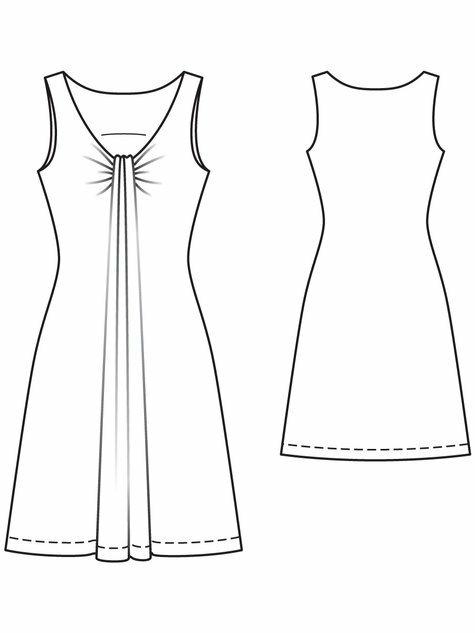 Just make sure you hold it in place on the inside by sewing the gathered edge to the facing. I also handstitched the part where the gathered edge is sewn to the facing to the gathered darts. Hope that helps? Looks so cute, I love it! 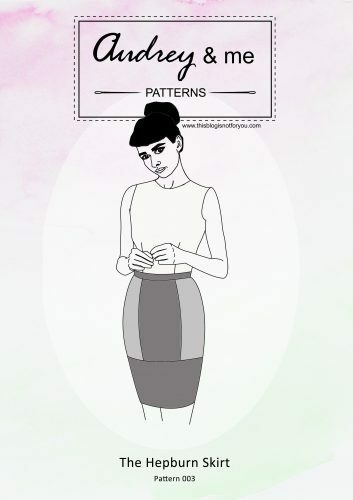 =) Personally I never tried anything Burda but I guess now that I’ve had more sewing practice I could probably venture into clothes territory. PS My tip for using any kind of rubberised fabric is putting a single layer of newspaper between the fabric and the foot of your sewing machine. It moves easily like that, and after sewing you can rip it off without leaving any traces.